"Kind Mother Mary, blessed one, stand by me, to bear my fate. Keep my innocent daughter Anna, fill again love in the heart of my husband Arnulf, lead him to me. Despite what he inflicts on me, he's my husband, protect my heart from evil. I seek refuge with you, Mother of Jesus Christ and the Virgin of virgins. Amen. " She puts her forehead on the back of the bench in front of her. Her hair has come out of the node, long tresses hanging over her bent back. She is absorbed in her prayer. The little forest chapel on this early morning is so peaceful. She loves the silence, the singing of the birds outside. Here she feels secure, it is her refuge. She does not hear the footsteps behind her. She winces as she suddenly feels the hard hand on her shoulder. "So I've found you here, you walked to the chapel," she hears the rough voice of her husband. "In bed I want to find you and not here in the forest, and then you complain that I do not lay enough with you, woman!" As soon as he brings out the words, she trembles. "Do not sin against yourself, do not speak of it in this holy place, I beseech you!" she exclaims, pulling the cloak tighter around her thin shoulders. "Nonsense, sacred place, our marriage chamber is our sacred place," he bursts into a loud hoarse laughter. "You hurt me," she moans. He forces her on the bench, nudges her back quickly, pushes up her skirt, opens his pants and comes almost immediately on her. He pushes hard, she hears his groans, clings to his back so as not to fall off the narrow bench. "Whether you like it or not, you're my woman, and hast me to be to will that finally comes the son that we need, here you have it, that's what you want, it is my right, and wife, do not complain, the priests drive much more, anywhere. " He lets her go, binds his pants, turns away, leaving the chapel. She remains, humiliated. I am at his mercy, what can I do about this guy then? She cries and sobs. Where can I go, undisturbed? Even in the chapel he follows me to scare me. As if in trance, she evens out her clothes, runs her hand through her hair, then stands up, walks slowly to the side aisle, from the chapel, through the woods the way back to the house. If only I could finally conceive a son, maybe he will then change. 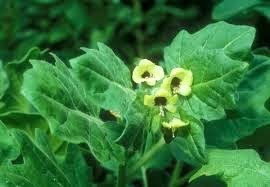 I will ask for Martha’s henbane. It can stun me, so I do not feel the pain when he is so rude, inconsiderate. Again she cries. What the hell happened to me? A weak-willed creature, oh, I would have gone to the monastery when I was young. I'll have to send for Martha, right now. Martha falls heavily on the dainty chair. She contributes so much to Bastian's work, since his fate to be without his older brother and his support is so hard. She was still a child when the accident came about Roland’s and Lotte's family. They sit in the hall next to the living room, the pale blue silk wallpaper shimmers in the light of afternoon. Maria has recovered somewhat, Martha looks at her searchingly. She does not look good, my lady, now more than ever. She's so pale, her hands move nervously about her skirt. "I need some of your Blackthorne wine that you can cook so well, my stock is used. Do you still have some? " "That's none of your business. We drink it with pleasure, even our visitors we always offer them. Bring me the ten bottles and prepare new ones. " "I'll send Dolf. He can pick up the bottles. And, Martha, give me a small crock with lavender flowers. I have to drink the tea. I hope he strikes soon. You know what I'm so very in need of. " "Yes, madam, how I would love your child suckle when it might come at last." "And then, Martha," Mary leans forward and whispers, "do you still have the henbane?" "Ma'am ..." Martha whispers too, frightened with tears in her eyes.